Patrick started out as a propman working on the films of Terence Davies, Derek Jarman and Bill Forsyth among others. It was while working on Life is Sweet that Mike Leigh encouraged him to become a director. Using begged and stolen 35mm stock, he made his first short The Last Ten Minutes starring Robert Carlyle. It ran in selected cinemas along with Shallow Grave. He continued to make award-winning shorts and travelled with them to festivals around the world, while developing movie projects. He then directed The Final Curtain, a feature film for DNA/Universal, starring Peter O’Toole, Aidan Gillen and Adrian Lester. Patrick also directs television drama. His credits include many episodes of ITV’s noir/cop show Taggart, BBC’s Sea of Souls, Casualty and Waterloo Road. 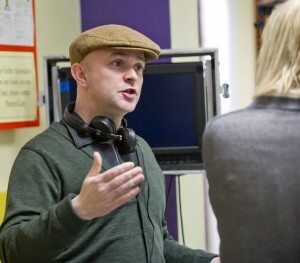 Patrick been a regular director on Hollyoaks (Lime/C4) since 2014 and River City (BBC Scotland) since 2010. In Summer 2016 Patrick directed the closing episodes of The Evermoor Chronicles II for Lime/Disney and has recently directed 6 episodes of teen drama series The A-List (Kindle/BBC).